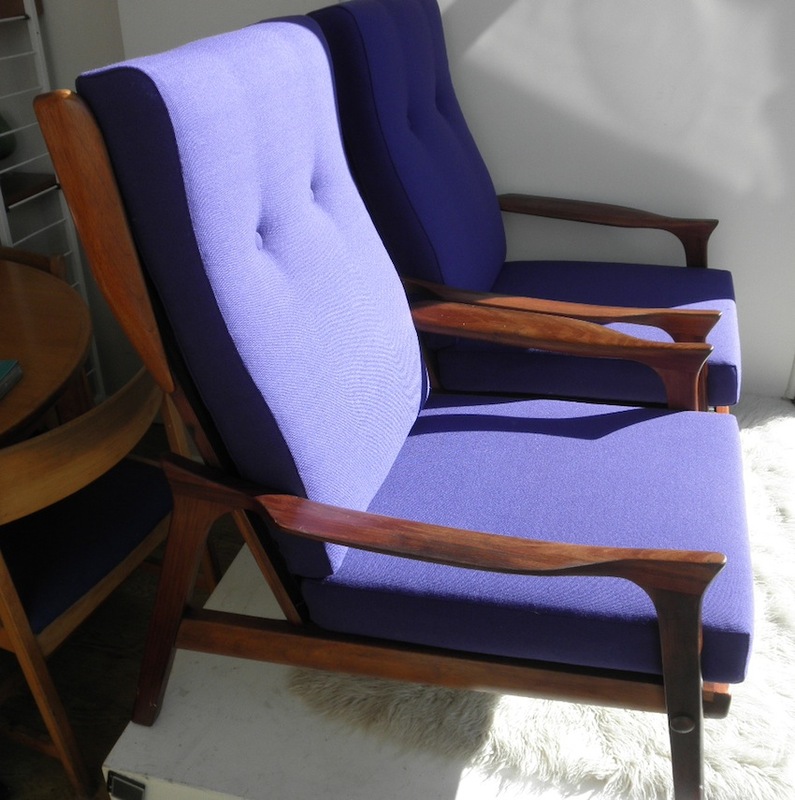 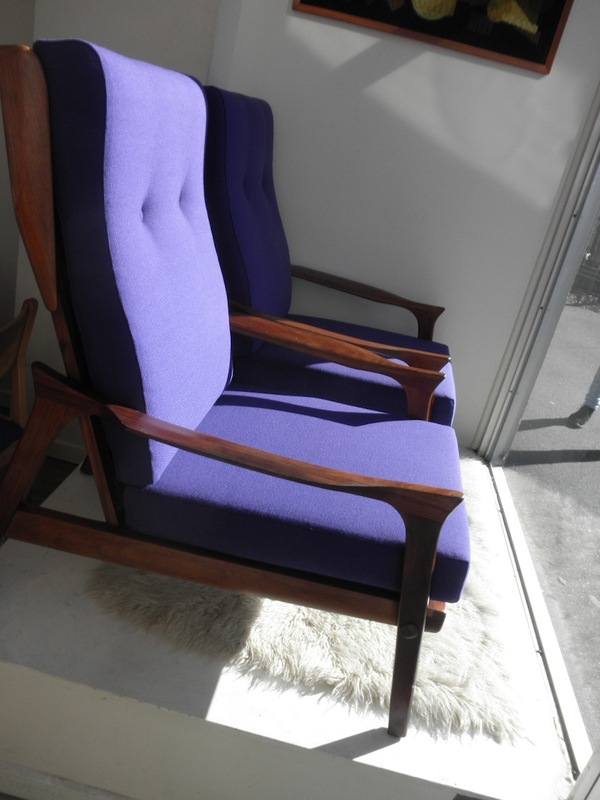 This is a super rare pair of Danish Deluxe Inga high backed chairs. 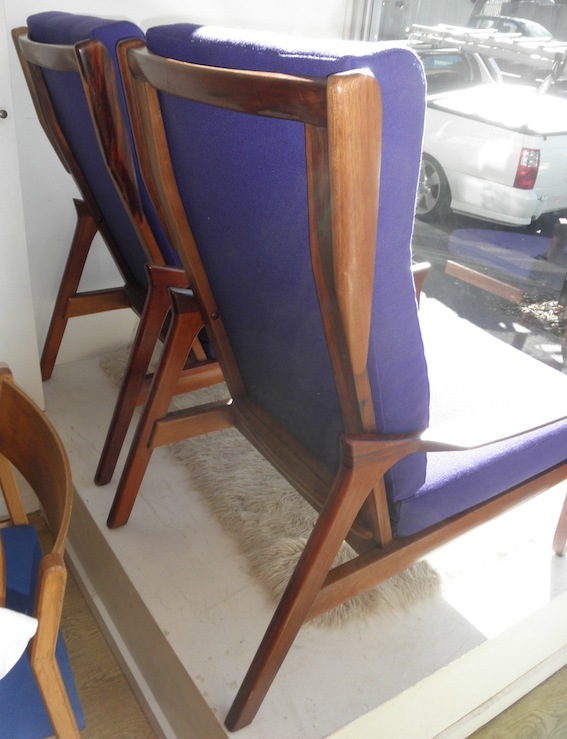 They have a detail panel that wings around the sides at the top and a shaped back cushion which makes them nice and comfy for people of all heights. 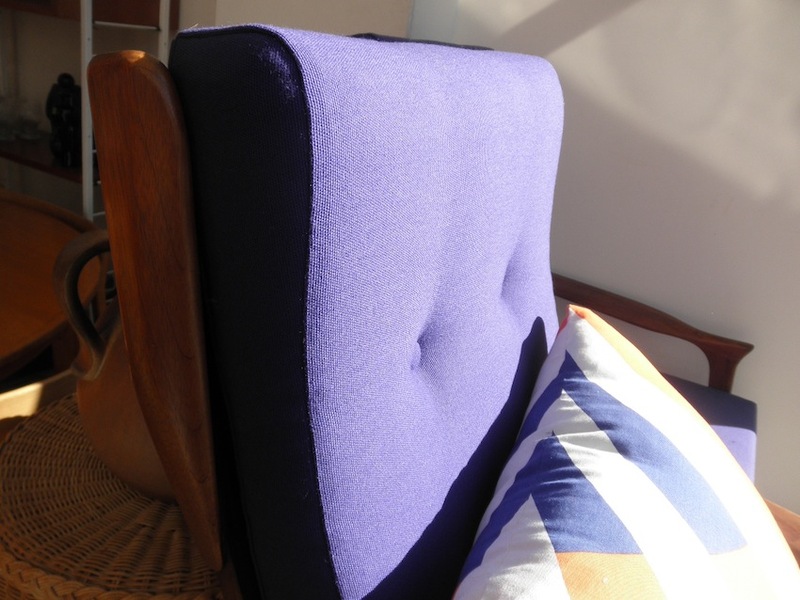 The upholstery has been done in new vintage Kvadrat danish wool in what is almost royal purple but has a bit of a blue tone not picked up by the photos. 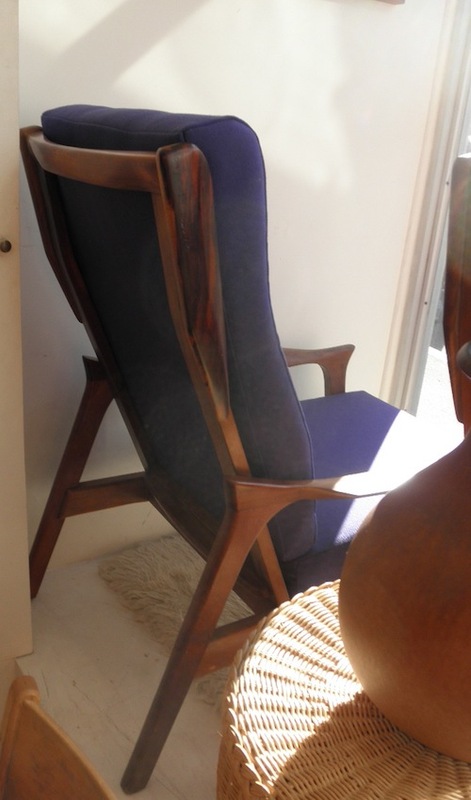 lovely winter reading chairs.